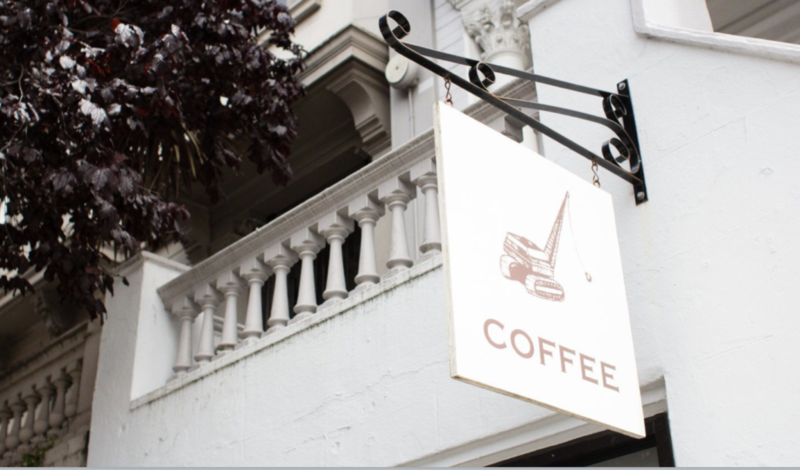 Wrecking Ball Coffee – where the price of coffee is irrelevant! John DiJulius once said that price is irrelevant. His point was that if you provide such a great product or service, the consumer will no longer care about the cost of said product or service. This is demonstrated perfectly in my case when it comes to coffee. I don’t like coffee. I find it very bitter and luckily, I don’t need the caffeine to get started in the morning. So coffee wasn’t my jam. But that was until my wife brought me a cappuccino with almond milk from Wrecking Ball coffee in San Francsico. The mouthfeel, the taste…it was amazing. And at $7.50 a cup, price became irrelevant. Even more amazing, price became irrelevant for a product I don’t even like. The concept of price irrelevancy “works” when you’re talking about coffee. Why? Because even if I don’t the know the cost of a really expensive cup of coffee, I still have a pretty good idea that coffee costs $2 at a diner or $5 at Starbucks. So I know that even the greatest cup of coffee in the world won’t be $50 or $500. And to my point, even the greatest cup of coffee in the world, Wrecking Ball Coffee in my honest opinion, was only $7.50. The concept works because we have a baseline for comparison. But what if you’re talking about an industry where you have no baseline for comparison? That industry would be healthcare. This is why you never hear anyone say, “that hospital provides the best customer service so I’m getting my MRI there, I don’t care if it costs $500 or $5000!” The reason you’ve never heard that phrase is because no one ever said it. Price isn’t irrelevant if you don’t have a baseline for comparison (as in healthcare). But this provides us with an opportunity in healthcare. Because if you can change price irrelevancy to price transparency, you flip the paradigm. Now instead of great customer service leading to price irrelevancy, you have price transparency leading to great customer service. Everyone should be taking advantage of this opportunity but few are. The reason for this is because healthcare providers still don’t see a benefit in offering pricing information prior to treatment. The nebulous altruism of great customer service isn’t enough. But you know what is enough? Getting a direct, concrete benefit. That’s where lead generation comes in. If a doctor or facility offered a Price Estimator on their website like the Ohio Surgery Center does or like I do on my website, the consumer can check pricing automatically, but only after entering their contact info. This way, the provider generates a lead for follow up. By having the consumer’s contact info, the provider can further assist the potential patient in navigating their way through the healthcare gauntlet. Even better, the provider can passively generate a huge email database for future email marketing and remarketing. With an obvious benefit to the provider, they have their motivational buy-in. And when everyone benefits (consumer and provider), healthcare as a whole benefits and everyone wins. This entry was posted in Healthcare Costs, Practice Management, Technology and tagged BuildMyBod Health Price Estimator, High Deductible Health Plans, price transcarency by Dr. Jonathan Kaplan. Bookmark the permalink.